Mae Clair is our guest author today with Myth and Magic. Her fascinating Point Pleasant series, featuring the Mothman, just concluded this summer – I highly recommend it to fans of supernatural thrillers. Welcome, Mae! 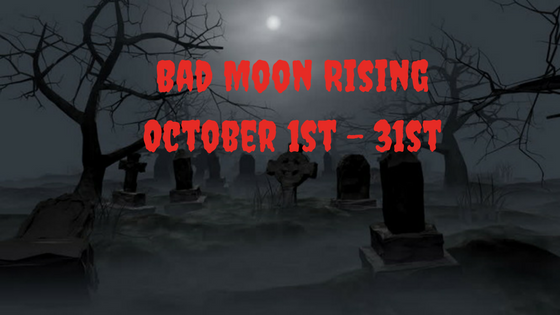 Thank you, Teri, for organizing the Bad Moon Rising promotion. Last year was my first time participating and I had a blast. I’m looking forward to checking out all the chills and thrills being offered through this year’s talented group of authors. Any paranormal experiences you’d like to share? If you could go back in time, where would you go and what would you do? Either the late 1800s or the turn of the twentieth century. Those time periods fascinate me. I think it would be amazing to witness the birth of electricity, walk down cobbled streets, or ride in a horse-drawn carriage. I probably romanticize the time periods too much, but I’m drawn to them. That’s an easy one. I’ve wanted to be a writer since grade school. I just sent a new manuscript (scheduled to be published in the summer of 2018) to my editor. It’s a novel with dual time frames—the present and the late 1890s—with mysteries in each time period that ultimately converge in the present. It involves old Spiritualist practices, a haunted brownstone, and a creature from urban legend. When you finish a book, do you take time off or jump into another project? Usually, I’m already plotting a book when I’m wrapping up a current project, so my time off is minimal— a week, two at most. Because I have a vacation coming up later this month, I will be doing a longer break this time, but I’m eyeing up NaNo as the kick start for my next novel. The timing is good. Veronica Kent fell in love with Caith Breckwood when they were children. As a teenager, she was certain he was the man she was destined to marry. But a traumatic event from Caith’s past led him to fear a future together. He left Veronica, hoping to save her from a terrible fate. 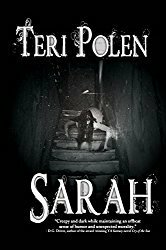 Twelve years later, Caith, now a P.I., is hired to investigate bizarre incidents at the secluded retreat Veronica manages. Returning to his hometown, Caith is forced to face his nightmares—and his feelings for the woman he’s always loved. THEN ONE DAY THE MONSTERS BECAME REAL. After the callous way Caith broke her heart, Veronica isn’t thrilled to see him again. But strange occurrences have taken a dangerous toll on business at Stone Willow Lodge. Forced to work together, Veronica discovers it isn’t ghostly apparitions that frighten her, but her passion for a man she has never forgotten. Or forgiven. Can two people with a tarnished past unearth a magical future? Mae Clair has been chasing myth, monsters and folklore through research and reading since she was a child. In 2013 and 2015, she journeyed to West Virginia to learn more about the legendary Mothman, a creature who factors into her Point Pleasant series of novels. Wow, Teri! Thanks for this great post with Mae. Myth & Magic sounds wonderful, as does her work in progress. The UFO sighting was downright goose-bumpely. Hugs all around. Goose-bumpely – exactly the word I was looking for, Teagan! That WIP is definitely going into the TBR. Hugs! Hi, Teagan. Thanks for checking it out. Great interview, Teri and Mae. I like the time travel question. I agree with Mae that many of us romanticize the past. I do, but then I think about the lack of hygiene and no thank you! Ha ha. The UFO sighting is creepy but exciting. I believe it! Yeah – that whole lack of hygiene thing bothers me also, Diana. Thanks for swinging by! Plus the lack of penicillin. I would never have made it out of childhood. Haha! The hygiene probably would take a lot of getting used to, LOL. Teri, thanks for hosting me today. Bad Moon Rising is always so much fun! Honored to have you, Mae – it’s the awesome guests that make it fun! Very nice to learn more about you, Mae. I would also love to write full time and not have to work so hard. This book sounds very interesting. We share the same dream, Robbie. Writing full time has been my dream ever since I realized I would need to make a living some day. Although I haven’t hit that reality yet,I’m farther along then I ever thought I’d be and that’s a huge plus. 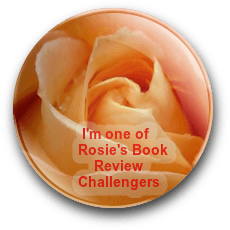 Thanks for checking out my post, Robbie, and I’m glad the book captured your interest! I’ve read Myth and Magic, and I loved it! I’ve read all of your books, Mae, and it’s great to see you here and learn more about you. Nice to meet you, Teri! You also, Lauralynn – thanks for visiting! Oh, wow, somehow I missed this comment. Lauralynn, I am so grateful for all of your support. You are amazing. It’s a silly thing, but I love the honesty of the final question. Hitting the NYT list and earning enough to make a living writing is something I think that a lot of us would love. The ‘sky looked like ti ahd a tail’ is an interesting description. That’s not one I’ve heard before in relation to UFOs. You’re right, Matt – most of us are thinking it. I was six years old when I heard that phrase about the sky having a tail and it stuck with me all the decades later. When I was reading the Mothman Prophecies by the late John Keel, there was a passage about the skies over my city being plagued by UFOs the year I saw the green cloud. I think my jaw hit the floor. Thank so much for reading and commenting! You’re welcome, Natalie – thanks for dropping in! Thanks for visiting, Natalie. Teri is a great host and today’s post was a lot of fun. I really enjoyed her questions.. It seems we all dream of earning a living writing. Mae has the best chance of anyone. here books are super. Thanks, Teri. Yep – it’s a group dream, John. And agree about Mae’s chances! Wow! *blush* You blew me away with that comment, John. Celebrating an exciting new release! “Myth and Magic” Author Mae Clair. Myth and Magic was actually released before my Point Pleasant series but since it’s set over Halloween I wanted to share it again for those who might have missed it, Thank you for helping me spread the word, my friend! Thanks again. I really had fun playing with the Halloween element in this one! Terrific interview. Congratulations, Mae! I’m loving that cover! Thanks, Jill! That’s definitely a striking cover – it would make me pick up the book. Thanks,Jill. I think my publisher did a great job with the cover. The story is set at an old stone lodge and when I saw this cover, I knew at once, they’d captured the spooky spirit of the book. Thanks for visiting and commenting! I have this book on my TBR list (which grows increasingly longer!). I had heard your UFO story before, but it still intrigues me. Wow! I hope you enjoy Myth and Magic when it surfaces in your TBR, Joan. And the UFO story is a circumstance I will never forget. That night is as clear in my head today as when it happened. And now, I’m tapping my foot and singing along with you, LOL! Hi, Mae. I loved the Point Pleasant story of the Mothman, so I’m your forever fan. I’m also looking forward to your WIP. Thanks for this great interview, Teri. Getting Myth and Magic tonight. Thanks, Sooz, for the reblog! Woohoo! Thank you, Linda. You made my day! You’re welcome, Linda – thanks for dropping in! feel I may also romanticize that time period. I interviewed Cindy Anstey about her book Love, Lies and Other Spies set in that period and she tells me that it may not be the best time for a woman, or anyone, to live in. Congrats about your upcoming project. I don’t think I’d actually survive back then, Lisa, but it is wonderful to romanticize about it. It’s also one of my favorite time periods for novel settings. I’m drawn to books set in that era. I’m going to have to look up Cindy’s novel. The title sounds familiar. Me either. But I hear you. Loved learning more about you, Mae! Hi Mae! How exciting to have seen a UFO. I’ve read Myth and Magic and loved it. And, yep, I will never forget that green flying cloud. It is still vivid in my memory as though it were yesterday! It’s a fabulous, eerie read, Julie! I hope you enjoy A Desolate Hour, Julie. I hated to see the series end. Mae always writes books that keep the reader enthralled from beginning to end. This is one of my favorite titles, too.